Situated near Bali in Indonesia are a group of islands growing in popularity. Nusa Lembongan, Nusa Ceningan and Nusa Penida are just a short boat ride away from Bali and are fast becoming known as an amazing diving destination. With growing popularity however, there also comes an impact on the environment. To combat this impact members of this dive community are extremely proactive in ocean conservation. Regular environmental events, clean ups, Dive Against Debris, seminars and education based dive training are a regular occurrence. Most businesses have initiated waste management programs and are actively aiming to reduce diver impacts through environmental briefings for guests. Recently Andrew Taylor, biologist and certified restoration practitioner from Blue Corner Marine Research invited this dive community to get together in an effort to begin coral restoration in an important area used regularly by divers. Andrew initiated a pilot project to determine the restoration method best suited to the specific environmental conditions in the area. He then recommended the best restoration method for the chosen site on Nusa Penida, which was to conduct a two step physical and biological restoration effort. First the team physically stabilized the rubble substrate using modular reef structures or coral frames. By installing these structures a framework is provided to minimize erosion and create patch reefs. Suitable hard coral species are then transplanted upon the structures to establish patch reefs which in time, will expand across the rubble area. “The workshop ran as an intensive 2 day event for professional local divers of the Nusa Islands in Bali. The first day involved classroom training on coral reef ecology and restoration techniques, followed by an afternoon of working dives. On the second day structures and coral transplants were inspected and documented for what will be an ongoing monitoring project. The workshop was offered free of charge to the local community in an effort to get all the dive instructors, divemasters and dive centres involved in protecting and restoring the reef. During the workshop 50 coral frames were installed at the restoration site! Funding for reef structures and operational logistics of the workshop were made possible with diver donations, assistance from several dive shops on the Nusa Islands, fundraising events at Blue Corner Bar, and generous donations from community partners”. This restoration effort is the start of what will be an ongoing restoration program in the Nusa Islands. The event was attended and supported by 25 Dive Professionals and volunteers from 6 PADI Dive Centres and Resorts. Additionally, the event was supported by the Marine Megafauna Foundation, Coral Triangle Center, Lembongan Marine Association, Komunitas Penyelam Lembongan and the Ministry of Marine Affairs, Bali Province (DKP). Logistics were arranged through Blue Corner Dive and the project had the backing of PADI & Project AWARE. PADI Regional Managers get to experience some great conservation initiatives all around their region. 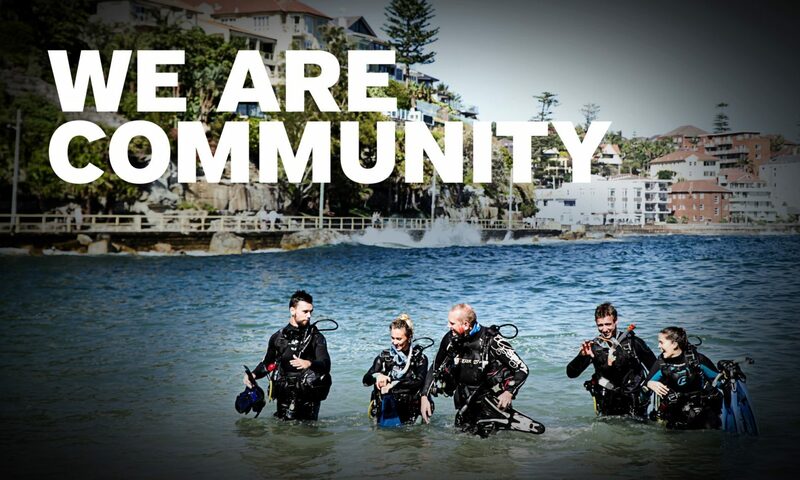 If you are undertaking conservation initiatives through your PADI Dive Shop, contact your PADI Regional Manager to discuss ideas, implementation and support.